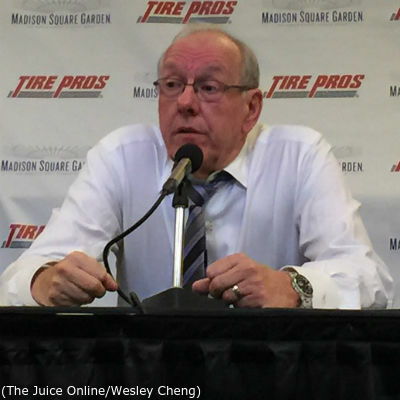 After a couple fast-paced NIT games, the Syracuse season wound to an end. 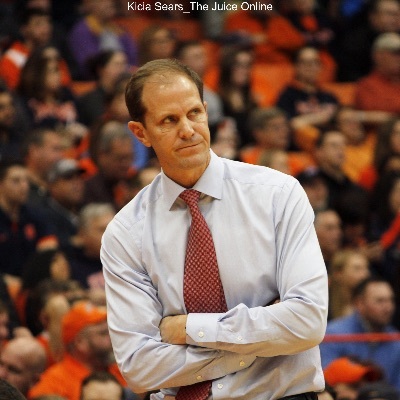 A couple questions still hang around the team, even after the loss to Mississippi was buried by the announcements of Mike Hopkins heading west, Jim Boeheim going nowhere, and Tyler Lydon jumping to the NBA draft. With the holes on the Syracuse roster, this is a pressing issue. Andrew White III and John Gillon were successes in Orange, but the real answer is complicated. Both players were explosive on offense, the former ending up as the top scorer on the team and both players topping 40 points in a game. However, their defense left much to be desired and defense is the reason SU found itself in the NIT. Gillon’s up-and-down play also hurt the team. While those concerns exist, particularly new players picking up the intricacies of the zone in a short time, the bottom line is that Syracuse proved itself a friendly home for fifth-year players, as they gave a huge opportunity to both newcomers. What Should We Expect from Tyus Battle? After the team was eliminated on Saturday, Battle spoke of not thinking much about the NBA and “we’ll be ready to go next year.” As a result, this should be the most exciting question for Syracuse fans. Between his return to health allowing him to display his skill at attacking the basket in both NIT games (including an explosive baseline dunk on Ole Miss) and take over the offense at times, Battle averaged 18.5 points per game, including shooting 45.7 percent from the field and 88 percent from the line, in the last six outings. While his athleticism suggests he can rebound more (2.8 rebounds/40 minutes) and he should also improve on defense with experience, this season’s late offensive results suggest an All-ACC performance as a sophomore. Thompson said he is “not ready” for the NBA following Saturday’s game. This is a very good thing for SU and their fans. Thompson showed a lot of offensive polish as a freshman, but a similar number of defensive deficiencies as a newcomer to the 2-3 zone. Thompson played a lot more than was likely expected before the season, as injuries to DaJuan Coleman and Paschal Chukwu forced the issue. With a year under his belt and an offseason to grow, Thompson should be both stronger and smarter, two pluses for next season. What’s Going to Happen with Frank Howard? 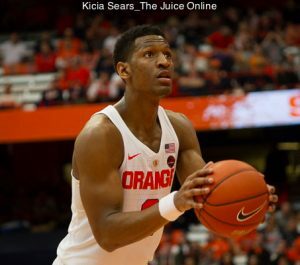 Saturday, Howard received the most minutes he had gotten in over a month and that extended play in February was tied to Tyus Battle’s bout with the flu. Howard played well against Mississippi, scoring seven points in a 12-0 first half run that gave the Orange their last lead of the game. Jim Boeheim directed more complimentary words Howard’s way after the Ole Miss game than he had almost all of the season combined, so it seems like an effort to rebuild Howard’s confidence is underway.